You have that new handbag or that printed Lilly dress in your online shopping cart, just one little problem you need money. It can often be difficult to find time to work a typical job while keeping up with schoolwork, extracurriculars, or just life in general. I have found that the best way for me to make money is by babysitting. I make between $7-$15 an hour babysitting based on how many kids, the nature of the job, and how many hours. My base charge is $10 an hour for 1 or 2 kids and an extra $5 for each additional kid. If I am expected to take the kids out a lot, I may charge more. If I am babysitting for 7 or more hours, I may move the rate down a couple dollars an hour. 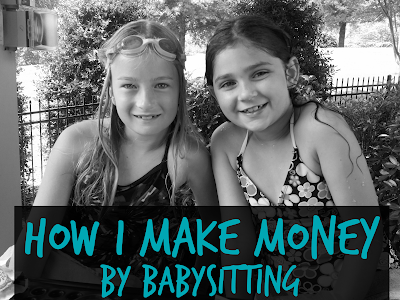 Now, I thought I would give an overview of the types of jobs I use to make money from babysitting. Summer Babysitting/Nannying: Now is obviously the perfect time for this! And even though for some of us it is several weeks into the summer, people are still looking for summer help. There are a lot of parents that work during the summer and need someone to watch their kids while they are not in school. This usually involves taking the kids to school, camps, or the pool, but it really can consist of whatever you are comfortable doing. The only thing is this is usually long hours, but the key is just to plan fun activities to keep the kids and you busy. I think the best thing about it is that you get to develop a unique bond with the kids. 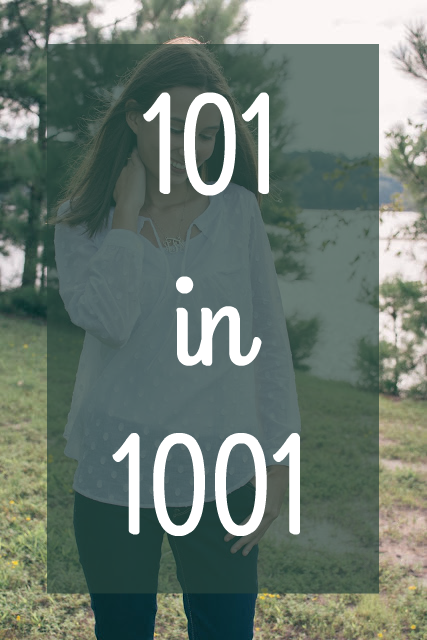 If you are not looking for something as full time there may be some people who work from home or are stay at home moms who just need someone to get their kids to a camp or out of the house for a few hours. Weekend Babysitting: If you don't have the time to babysit all day, all week, then weekend babysitting may work well for you. The best way to take advantage of weekend babysitting is to find someone who works on Saturday's or even Sunday's. Daycares and schools aren't open on the weekend so most people are looking for some other type of help. It is usually for long hours as well, and you can do similar activities that you would do if you were babysitting during the week. The nice thing is it is only one day. You can even do this in conjunction with weekly babysitting. The good thing is that usually you will have the night off to do things you need to do or to do things with your friends. You're able to make a good amount of money, but still have plenty of time to do what you need to do. After school Babysitting: If you get out of high school early, then this is the perfect job for you. Elementary school usually gets out early before many parents get home from work, and while there are daycare programs many adults would rather have someone take their kids home. This is a good job for a few hours after school. It usually involves picking up the kids either from school or the bus, getting them a snack and then helping them with homework or just playing with them. I did not get out of school early so I was not able to take advantage of that though I did have another after school job. One of the families in my neighborhood needed someone to help pick their son up from lacrosse practice on Thursdays so I would help them with that. I know school is not in now, but it is never too early to start getting a job in order. Night time Babysitting: This is what most people think of when thinking of babysitting, helping out someone as they go out at night. This involves usually playing with the kids for a little bit before putting them to bed. It can sometimes also involve feeding the kids dinner. Basically, you become their mom for the night! The thing I like about babysitting at night during the school year is that you have time to usually work on things at night after the kids go to bed. This is great especially during school or during the summer I use it to work on my blog, just make sure you bring something to do! How to get babysitting jobs: The main way that I have gotten jobs is through my neighborhood Facebook page. If you don't live in a neighborhood then the best way is to reach out to friends and family to see if they know anyone. They may even be willing to post on their neighborhood page. You can even make some business cards or flyers and distribute them in mailboxes of local family neighborhoods. Once you start getting jobs, and you do a good job those people will talk to their friends and you will begin to build a network of people to babysit for. And also, try to never say no, the more you turn people down the less likely they are going to be to recommend you and to call you again. 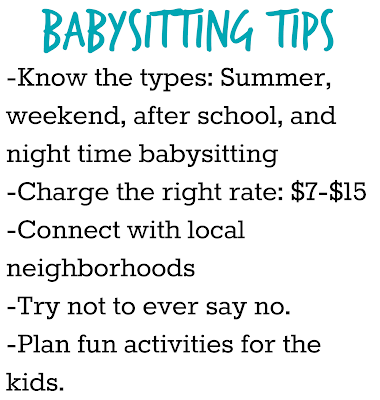 I'm planning on doing some more babysitting posts featuring some fun things to do while babysitting and how to be successful. Babysitting is a really great way to make money, just don't be afraid to put yourself out there! I have truly delighted in perusing your blog entries.